Prior week ended on a down day. Looks like any move down will be fairly short. 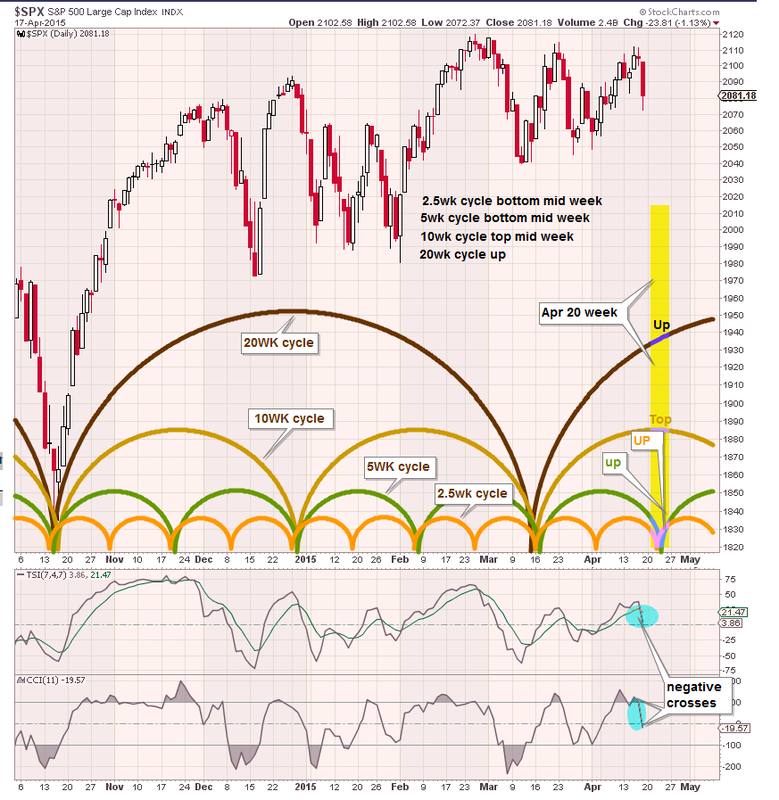 The 2 shorter cycles should bottom by mid week and turn up. 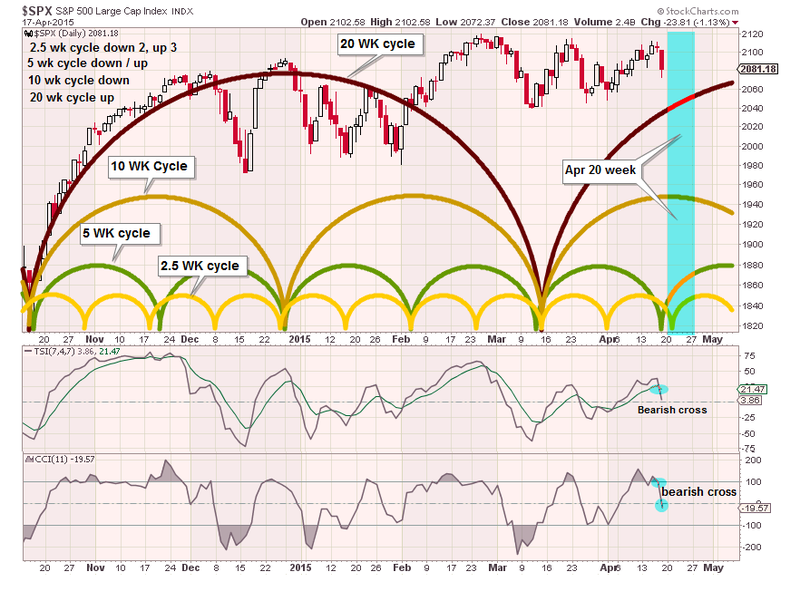 The 10 week cycle has topped and turned down but will have minimal impact until it gains some down momentum. 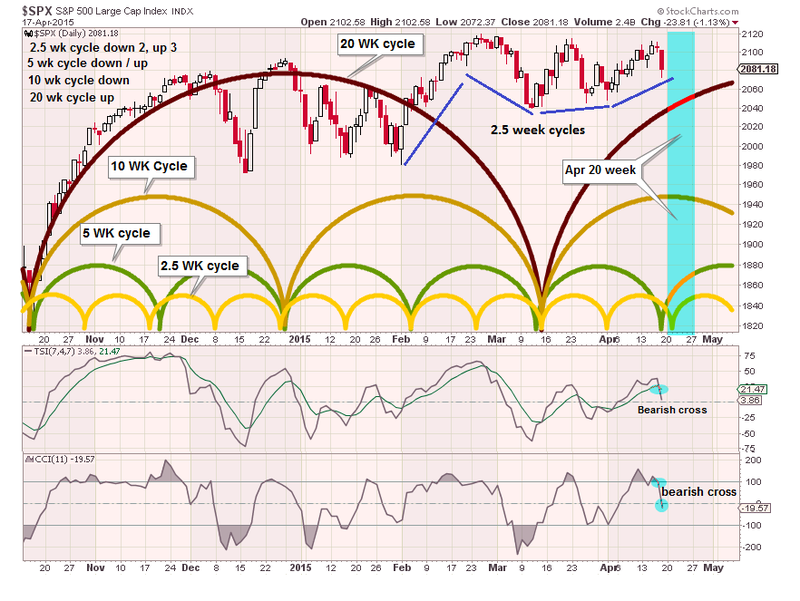 The 20 week cycle moves up toward a top in 4+ weeks. I expect the market to pull back into mid week and then turn up the last half of the week.